East meets West in this modern twist on an ancient Chinese theme in the 5-reel 40-line Dragon Shrine slot machine by Quickspin! 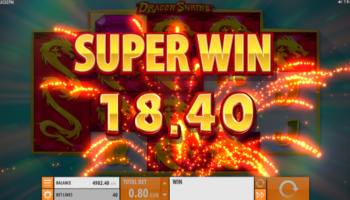 Modern graphics and innovative features like the Dragon Stack Re-Spin combine to give the legend of the Dragon renewed vitality, all the while giving you big opportunities for wins. 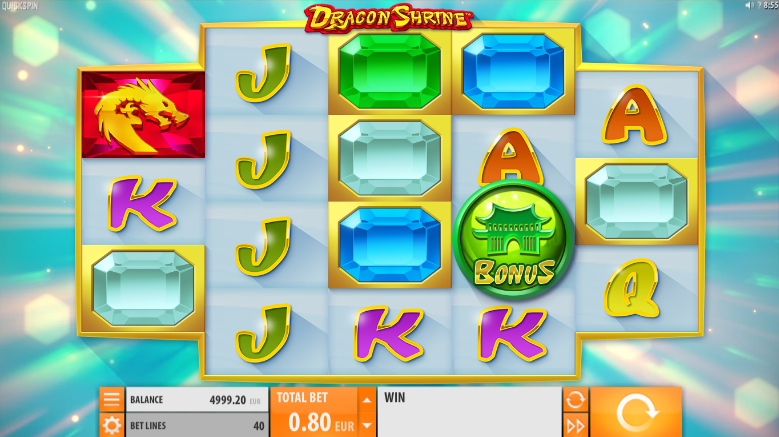 You might immediately notice that this isn’t your typical Chinese themed slot. 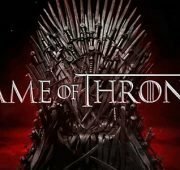 The graphics are far more modern than that but do reach back to tradition. The music is the same, with underlying notes of classic Chinese music with a modern twist. 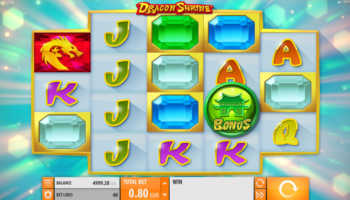 The 40-lines of this game are spread across a unique 3-4-4-4-3 reel layout and offer unique opportunities to win. 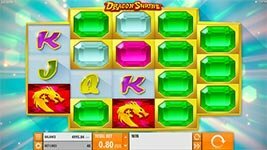 The excitement is turned up in Free Spins with a double stack feature, filling both the left and right reels with Dragons. 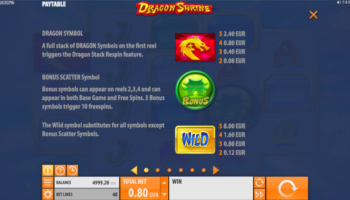 The dragon, temple and wild symbols are the ones to watch for but you can also win from 4 different jewels and card symbols 10 through ace. Wilds – The wild symbol is a simple Wild written in blue on a golden background. It will substitute for all symbols in the game except Bonus Scatter symbols to complete winning combinations. 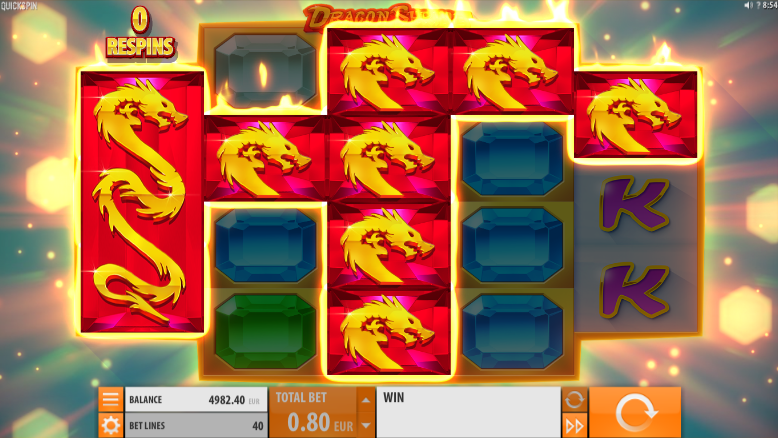 Dragon Stack Re-Spin – A full stack of Dragon symbols on the first reel triggers the Dragon Stack Re-spin Feature during the base game. 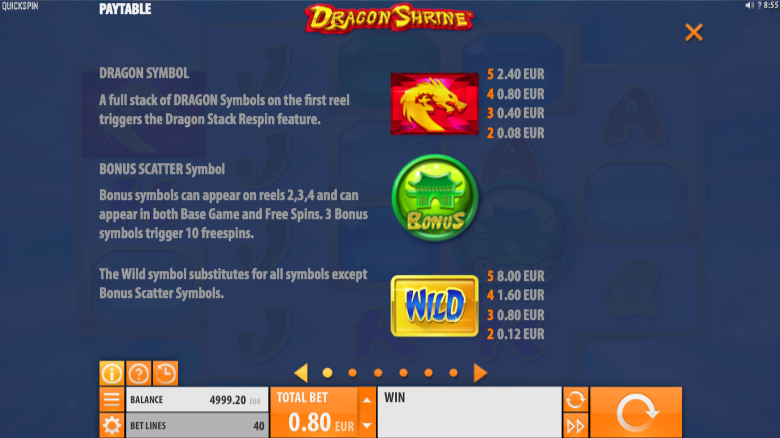 During the feature all Dragon and Wild symbols are locked on the reels and 3 re-spins are granted, all additional dragon and wild symbols are locked. Your final win is tallied at the end of the re-spins round feature. 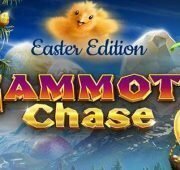 Bonus Scatter Symbol – The green temple symbol is the bonus trigger and can appear on reels 2, 3, and 4 and can appear in both the base game and free spins. 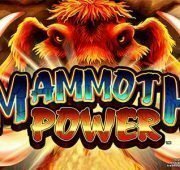 Land three of them on the reels to win 10 free spins. 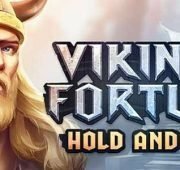 During free spins you can win both ways, from left to right and right to left! In addition to this the Dragon Re-Spin feature can be triggered either from a full stack of Dragon symbols landing on either Reel 1 or Reel 5.